FORT MYERS, Fla. (March 24, 2009) — The Village Church at Shell Point Retirement Community welcomes the Gabriel V Brass Ensemble as the final concert in the 2008/2009 Season of Praise Concert Series. The performance will be held on Easter Sunday, April 12, at 6:15 p.m. in the Village Church auditorium on the Island at Shell Point. Gabriel V offers the best in fanfare and solo brass works. As an ensemble with Gloriae Dei Artes, a foundation dedicated to the pursuit of beauty and truth in celebration of the arts, the passion and creativity of Gabriel V is evidenced by the lives of its members and their commitment to artistic excellence through detailed preparation in a spirit of mutual honesty, dignity, openness, and joy. Gabriel V collaborates frequently with Gloriæ Dei Cantores choir and has toured 23 countries in Europe and Russia from London to Prague, Budapest to St. Petersburg, by invitation performing works by Gabrielli for the 900th anniversary celebration of Saint Mark’s Basilica in Venice, Italy. Tickets are now available to purchase and are $10 each. To purchase tickets or receive additional information about this performance, please call (239) 454-2147 or go to http://www.shellpoint.org/villagechurch/events.htm. The Village Church at Shell Point is a ministry of the Christian and Missionary Alliance and serves a congregation of more than 600. The Village Church is located near the entrance to The Island at Shell Point and seats 1,000 people. 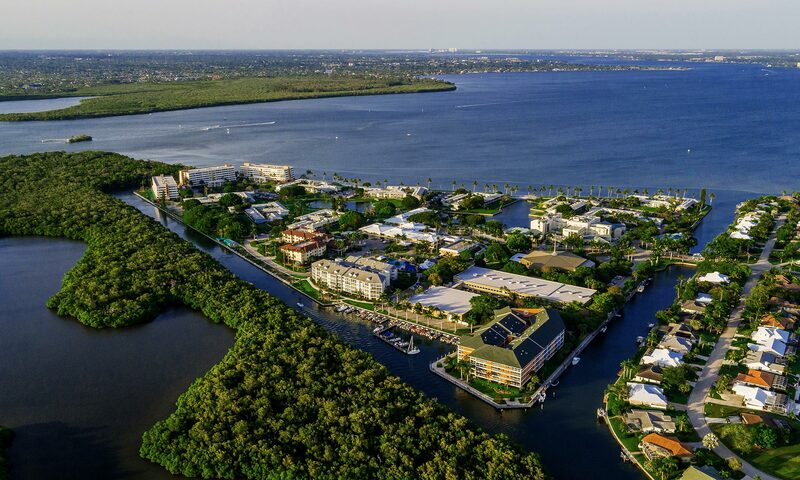 Shell Point Retirement Community is a continuing care retirement community located in Fort Myers just off Summerlin Road, two miles before the Sanibel causeway. Shell Point is a nationally recognized leader in the retirement industry. FORT MYERS, Fla. (March 16, 2009) — The 2008-2009 Season of Praise Concert Series continues at The Village Church at Shell Point Retirement Community by welcoming the Barbary Coast Dixieland Band. This presentation by the Barbary Coast Dixieland Band will offer audience members a chance to hear Old Time Gospel Jazz on Sunday, March 29, at 6:15pm. The Barbary Coast Dixieland Band has been together since 1967. Elected to the Minnesota Music Hall of Fame in 2001 and rated among the finest entertainers in the Midwest, the band has played everywhere — from the Mississippi paddlewheel boats and the Minnesota State Fair, to Nagasaki, Japan. FORT MYERS, Fla. (March 6, 2009) — The final presentation in the Shell Point Retirement Community 2009 Inaugural Speaker Series will feature Barrie Schwortz, known as the Shroud of Turin Photographer, on Thursday March 19. The program will begin at 7 p.m. in the Village Church Auditorium on the Island at Shell Point. The Shroud of Turin is a centuries old linen cloth that bears the image of a crucified man, a man that millions believe to be Jesus of Nazareth. Is it really the cloth that wrapped his crucified body, or is it simply a medieval forgery, a hoax perpetrated by some clever artist? Modern science has completed hundreds of thousands of hours of detailed study and intense research on the Shroud. It is in fact, the most studied artifact in human history. FORT MYERS, Fla. (March 3, 2009) — The Shell Point Retirement Community’s seventh annual Fine and Performing Arts Concert Series of 2008-2009 presents the Irish based group, Cherish the Ladies, for a St. Patrick’s Day performance. On Tuesday, March 17, this group of entertainers will take the stage at the Village Church Auditorium located in the Island at Shell Point.